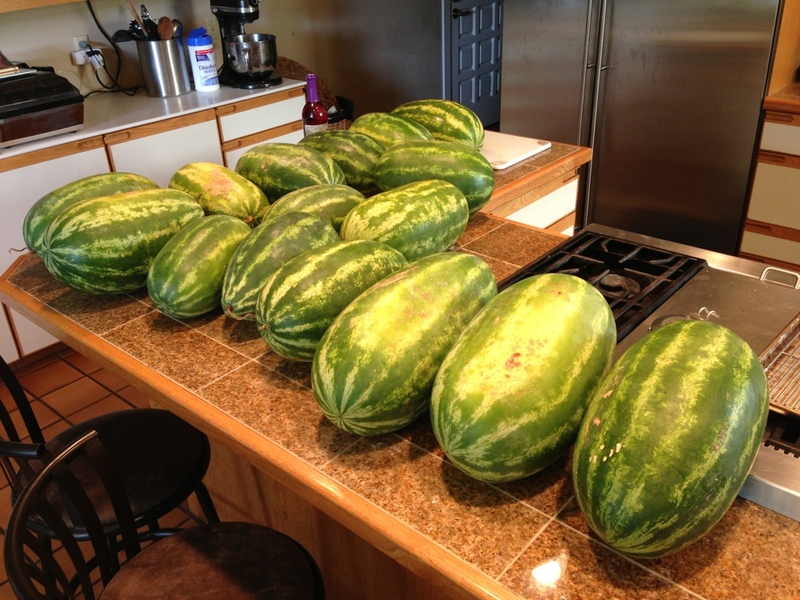 16 watermelons yesterday with more coming today. I LOVE watermelon. Remind me of that on the processing of about the 13th one. This batch will be some watermelon wine, I hope. There’s no more room in the freezer and I can only feed the kids so much.